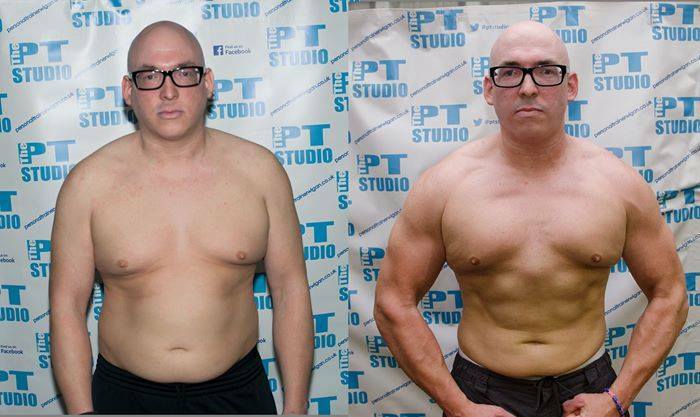 When I first signed up at The PT Studio was very unhappy with myself. I hated my appearance, was at an unhealthy weight, and felt constantly tired. I knew I had to finally do something about it. I’d trained at loads of gyms over the years to little effect, so was looking for something different to try in order to raise my fitness and strength levels & with it look and feel better. When I first started (despite being VERY nervous) I had taken part in my first ever Spartan warrior workout. I can’t actually describe how tough I found it, and only barely made it to the end without being sick. I clearly remember though that it was the support of the trainers and the other members, and the brilliant atmosphere, that made me stick to it. The support and sense of community that exists at The PT Studio is the reason that, two and a half years later, I still love coming here. Ultimately, the 12 week challenge changed everything for me. I look back and see it as the jump leads to kick start my life. Over a year later I still observe the diet plan at around 80% and it’s really no effort at all. It may be a 12 week challenge, but it’s about extending beyond those time periods and putting into practice what you’ve learned. I’m living proof it can be done. More recently I’ve started doing M.A.S.T (Modified athletic strongman training) After all this hard work I wanted to become stronger and attempt to change my shape, so this is now the next step in my path to looking and feeling better. It was quite daunting at first, but the advice and support from the PT Studio is second to none. 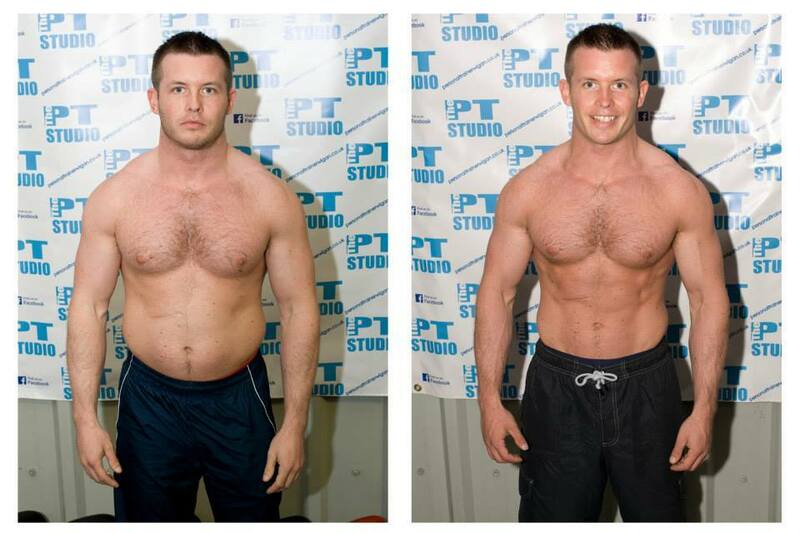 If I could offer any advice to anyone thinking of signing up to The PT Studio, Don’t let nerves, fear of failure, or the thought that people may be judging you, stop you from signing up – It’s not that kind of place. Ste and his team are dedicated to getting you in the best shape of your life, and everybody is supportive no matter what your ability. Trust me coming down to the PT Studio will be the best decision you will ever make.